1912 Justin McCarthy (82), Home Rule politician, leader of the anti-Parnellite faction (1891–6), historian and novelist, died. 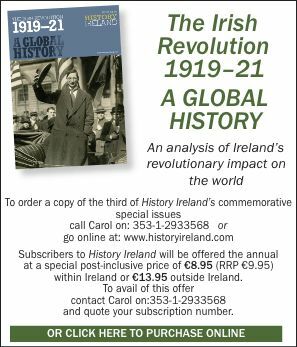 1916 The Easter Rising began. Sir Ernest Shackleton and five of his crew set out on their epic 720-nautical-mile rescue mission in the James Caird, from Elephant Island to South Georgia. 1868 Sir Benjamin Lee Guinness, son of Arthur Guinness (1725–1803), brewer and writer who restored St Patrick’s Cathedral (1860), died.